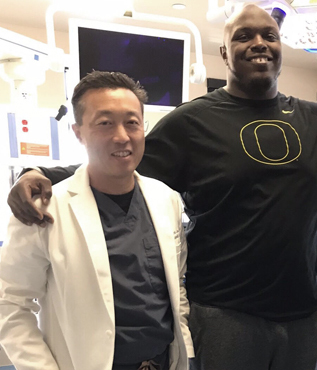 Dr. Dee helps patients get through a wide variety of knee conditions so that they can regain full mobility and return to their regular activities. Posterolateral Corner Laxity (PLC) - This is the most common under diagnosed and under treated laxity in the knee. It can be in combination with other injuries, such as ACL tear, PCL, and meniscus tears. PLC is a common reason for suboptimal results following surgery if it is not addressed. Injections are made directly into the affected area to help and reduce pain, increase mobility and promote lubrication in the joints Platelet rich plasma injections, also known as PRP injections, are used to accelerate the healing process of tendons and overall encourage the body's natural ability to heal itself. A compilation of several proteins help to simulate repair and regeneration of the affected area. Orthovisc is a knee pain injectable made from ultra-pure hyaluronan to lubricate the knee joints. This injection is the only one of its kind that can ease pain for up to six months in patients. 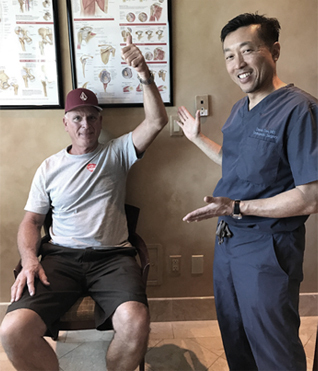 Specialized exercises are used to aid in the remediation of specific impairments or injuries to help promote greater mobility, functionality and overall the quality of life. By stretching and strengthening the area patients can promote healing. 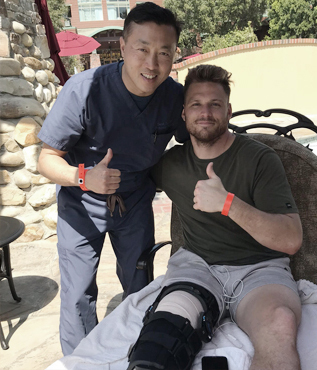 Depending on the severity of the injury, surgery options can range from a minimally-invasive procedure to total knee or knee joint replacement. Most often times used in combination with another treatment, medicine helps to ease pain and promote comfort in the patient.